The Agustus Fanno Farmhouse sits near Fanno Creek in Beaverton. The creek neatly bisects the cities of Beaveton, Tigard and Tualatin before it flows into the Tualatin River. The Farmhouse is on the original land claim location, very near where Agustus would have built his first cabin in 1847. Fanno later convinced Thomas Denney to settle on adjoining land in 1850. This location was ideal for Fanno’s needs as it was adjoining Indian Trails that allowed passage from Willamette Falls in Oregon City all the way to the coast near Tillamook. This trail would later be expanded and become the Astoria Military Road. His intention was to sell onions to trappers headed back to Oregon City. The Fanno’s did well as onion farmers. By this time he was probably shipping Onions downstream to Oregon City. In that day it was common to build a raft and hire a couple of Indians to paddle it along the creeks and rivers with it’s cargo. They made enough to build a new “fashionable” house in 1857. Note the sign at the house says 1859, but I am not sure where the discrepancy is. Perhaps it took two years to build and finish due to the amount of labor and materials that would have to have been shipped in. His sons and grandsons continued the tradition of farming onions until the 1940’s. 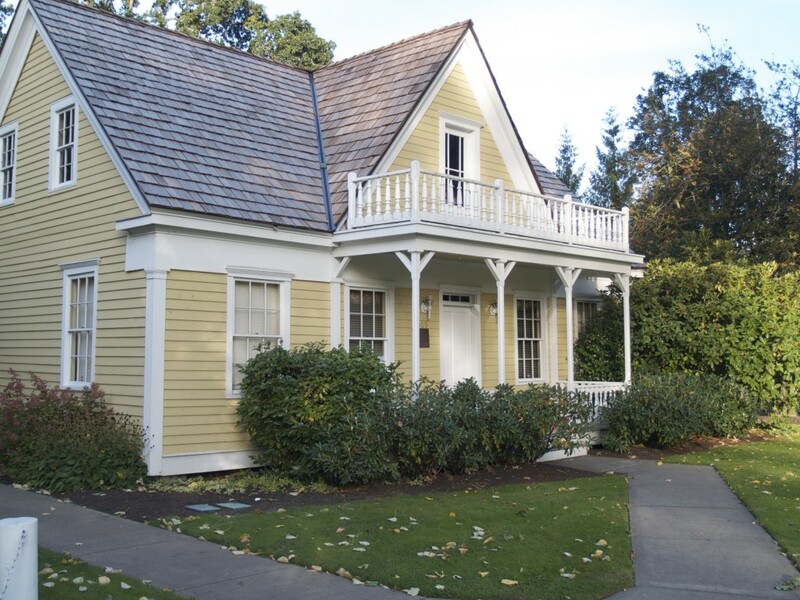 The Farmhouse itself was lived in by the family until 1974 and then it and the adjacent land were donated to the Tualatin Hills Park and Recreation District in March 1982. The Farmhouse is now both a Century Farm, and is on the National Register of Historic Places. History of the Fanno Family and the Fanno Farmhouse” linked below on Amazon.